Looking for some reliable commercial locksmith services in your area? Here is the right place for it. at phila locksmith we understands business operations and the need for first rate commercial locksmith services and business security, the importance of locks and other security systems. The best way to make your office/business secure is to choose a high quality locksmith service. Here, we offer complete locksmith services of commercial warehouses, corporate offices and properties throughout Philadelphia and its surroundings. Our crew is specialized in delivering high end locksmith solutions for all types of business property, right from the local shops to large business enterprise. The technicians are skilled and have a license. All these years, we have provided quality security services to offices, community centers in Philadelphia and the surrounding area by satisfying the customers needs. Bring in any size and type of security needs, our team offers the best commercial locksmith solutions that are available in the market which are appropriate and cost effective. 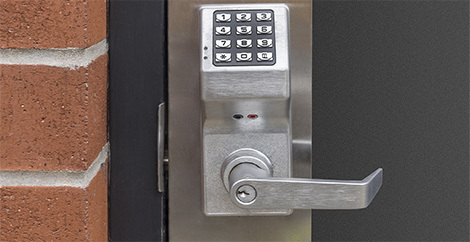 The skilled and trained locksmiths at Phila Locksmith can trait any type of challenging commercial lock problems including the repairing and changing of exit devices like rim cylinder and mortise lock that incorporates without deadbolt mounted in the door pocket. Our workers can work for all your emergencies or normal requirements on an immediate basis. They also help you in deciding which lock suits the best for your commercial complex. We assure that we will try hard to give full protection to your business as well as commercial property by using the latest tools and techniques, hence will make sure that you get the essential security system which your business deserves. All our services give great customer satisfaction since your business security is our top precedence. Give us a call at 267-999-9929 and get free estimates on your property, no call-out charge and no obligation to us.